This easy roasted okra recipe will make you an okra lover! I’m “blogsitting” for my friend Kara Lydon today while she is off exploring Europe. If you don’t know, Kara’s blog is amazing. It’s one of my favorite blogs for gorgeous and delicious plant-based recipes and motivational posts. 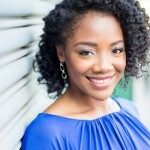 You all already know about my love affair for okra so I thought I’d share that love with her readers too. Take a look at the post to learn about the many health and nutrition benefits of okra. 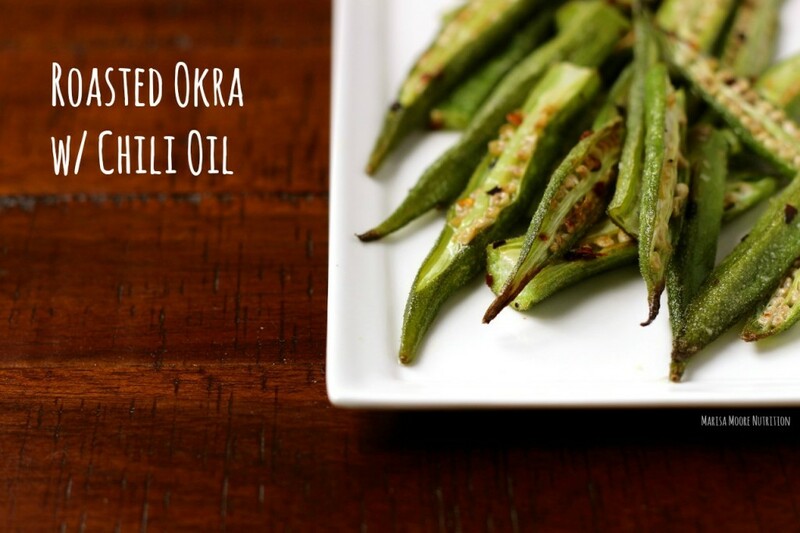 You’ll want to try my Roasted Okra with Chili Oil recipe this week. It’s honestly the best okra I’ve ever made. Place the okra on a baking sheet, leaving plenty of space between each piece. Drizzle with the chili oil.